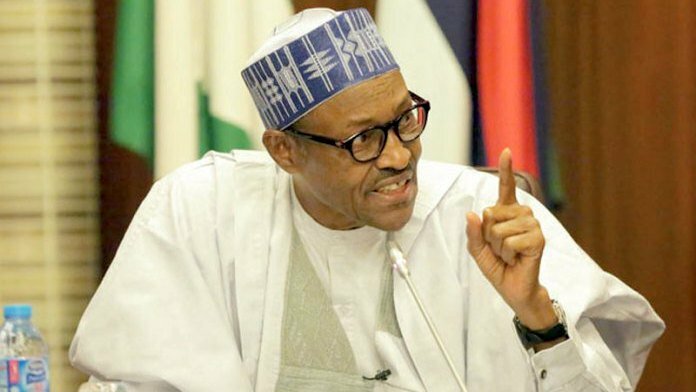 The Nigerian presidency has stated reasons why President Muhammadu Buhari cannot declare his ambition for the 2019 general elections. The presidency believes that it is a precautionary move to prevent opposition figures from sabotaging the entire country, adding that if he opens up too early about his ambition, it will give ammunition to opponents to strike his administration. Special Adviser to the president on media and publicity, Femi Adesina, speaking in a recent interview in Abuja pointed out that the president cannot speak with the election still about one year away because he knows the consequences. He said; “You know the peculiarity of Nigeria particularly now. If the president speaks too early, it’s a problem. There is a lot of sabotage in the country. “You have also heard so many have said ‘don’t run.’ Because they know that if the president runs, others people should just run away because they don’t have the foggiest chance in hell to beat him. So, they want to discourage him from running. “Now, if he tells you ‘I’m going to run,’ and elections are still one year away, it gives them one year to sabotage the entire country from all fronts – politically, socially, economically – they would throw everything at him just to dissuade him from running. “So, when you know that, why then do you speak early?